Living in Kansas for more than 9 years now, we have made some very close friends. We feel it is such a blessing when we are so far away from family. One of our friends invited us for dinner during Thanksgiving holidays. I was supposed to take a dish, but I had no energy to make anything that day. So my friend prepared the whole dinner. The dish that I loved most was a eggs in coriander leaves curry. I remember I had tasted a similar curry sometime before, but don’t know where. She shared her recipe with me. I tried it at home with few changes and we loved it. 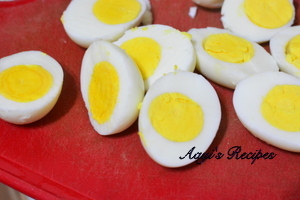 Boil eggs and cut them into half. Fry onion and add the ground paste. 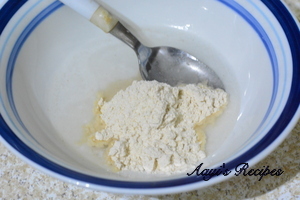 Make the wheat flour paste. 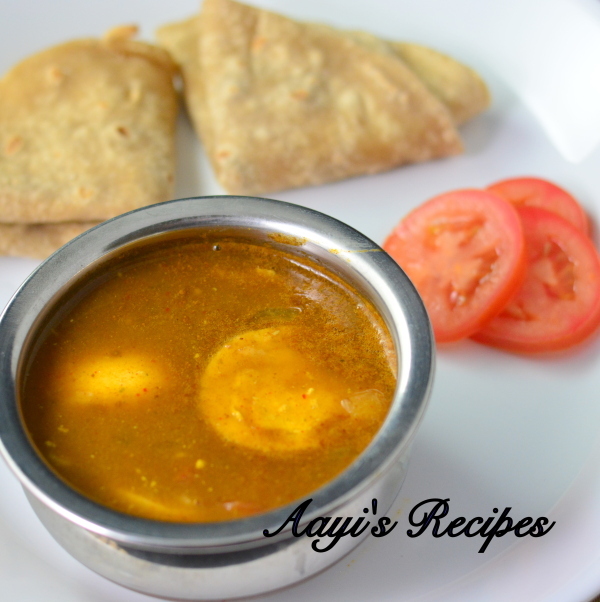 Add eggs tomatoes and the wheat flour paste to the curry. 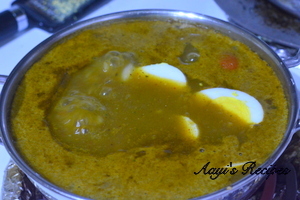 Boiled eggs cooked in a flavorful coriander leaves curry. Heat a little oil and add cloves,cinnamon. 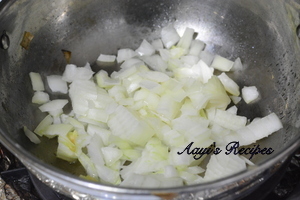 When they are fried, add ½ cup onion and fry till they are translucent. 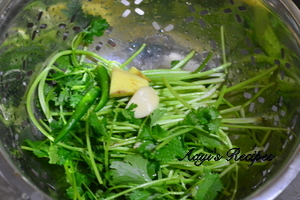 Grind the onions with coriander leaves, ginger, garlic, green chillies and ¼ cup tomatoes. 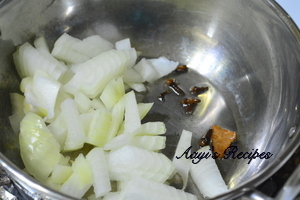 Heat little oil and add remaining onions, fry till translucent. Add the ground paste, enough water to bring to required consistency. Slowly slide in the halved boiled eggs, remaining tomatoes, salt. 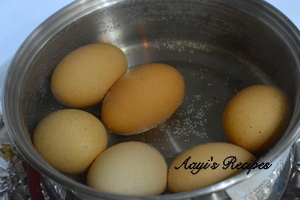 Now add the wheat flour mixed in water and carefully mix, taking care not to break the eggs. 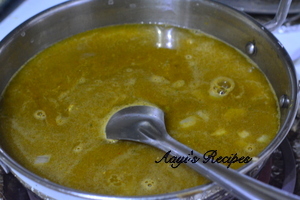 Cook till the gravy starts boiling. For a bright green curry, leave out the tomatoes and use a little tamarind as souring agent. Use more leaves instead of stems. HI Shilpa.. This looks yummy…. I’ll try this out. My ayee makes this with little coconut, also fried along with onions for the thickness. I have tried your spciy egg curry too. This looks yummy, and I love coriander. Will definitely try this. Firstly, I LOVE your blog!